Boat rental for a Party on the Lola is possible for up to 60 persons. This ship sails here: The IJ, IJsselmeer, Loosdrechtse plassen, Vecht. 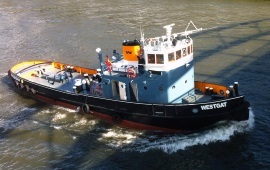 The homeport of this ship is Weesp. 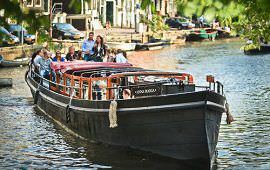 Boat rental for a Party on the Amelie Zahra is possible for up to 60 persons. This ship sails here: Amsterdam, Amsterdam canal cruise, The IJ. The homeport of this ship is Amsterdam. 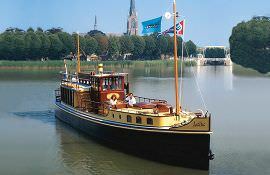 Boat rental for a Party on the Hildebrand is possible for up to 60 persons. This ship sails here: Amsterdam canal cruise, The IJ, IJsselmeer, Amstel. The homeport of this ship is Amsterdam. 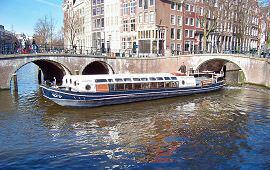 Boat rental for a Party on the Vriendschap is possible for up to 60 persons. This ship sails here: IJsselmeer. The homeport of this ship is Monnickendam. 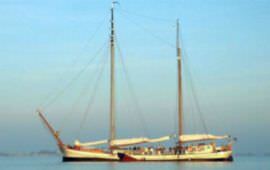 Boat rental for a Party on the Anna Maria is possible for up to 60 persons. This ship sails here: Amsterdam, Amsterdam canal cruise, The IJ. The homeport of this ship is Amsterdam. 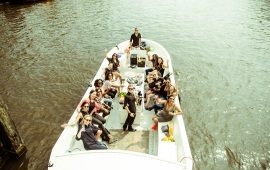 Boat rental for a Party on the Adeline is possible for up to 60 persons. 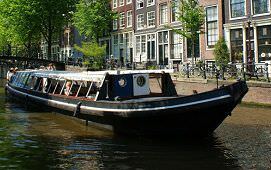 This ship sails here: Amsterdam canal cruise, The IJ, Haarlem, IJmeer / Pampus, Amstel, Vecht. The homeport of this ship is Amsterdam. Boat rental for a Party on the Westgat is possible for up to 60 persons. This ship sails here: Amsterdam, The IJ, Leiden, Rotterdam, Rotterdam - Binnendams (Noordkant), Rotterdam - Maas, Utrecht, IJsselmeer, IJmeer / Pampus, the Markermeer, Amstel, Maas, IJssel, Vecht, South Holland. The homeport of this ship is Drachten. 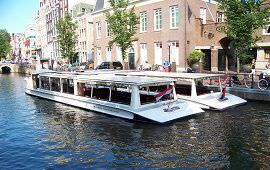 Boat rental for a Party on the Hoop op Behoud is possible for up to 60 persons. This ship sails here: Amsterdam canal cruise, The IJ, Amstel. The homeport of this ship is Amsterdam. 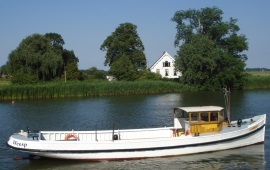 Boat rental for a Party on the Lelie is possible for up to 60 persons. This ship sails here: The IJ, Haarlem, Pernis, Hoek van Holland, Eemhaven, Maasvlakte, Rotterdam - Binnendams (Noordkant), Rotterdam - Maas, Utrecht, Harlingen, Franeker, IJsselmeer, Loosdrechtse plassen, IJmeer / Pampus, Amstel, Maas, Rhine, South Holland. The homeport of this ship is Amsterdam. 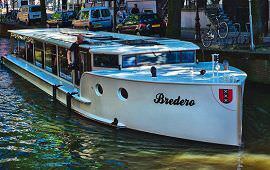 Boat rental for a Party on the Bredero is possible for up to 60 persons. This ship sails here: Amsterdam canal cruise, The IJ. The homeport of this ship is Amsterdam. 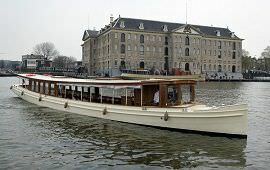 Boat rental for a Party on the Wilhelmus is possible for up to 60 persons. This ship sails here: Amsterdam canal cruise, The IJ. The homeport of this ship is Amsterdam.